You’re Invited to the Spring Ecotone Frolic! 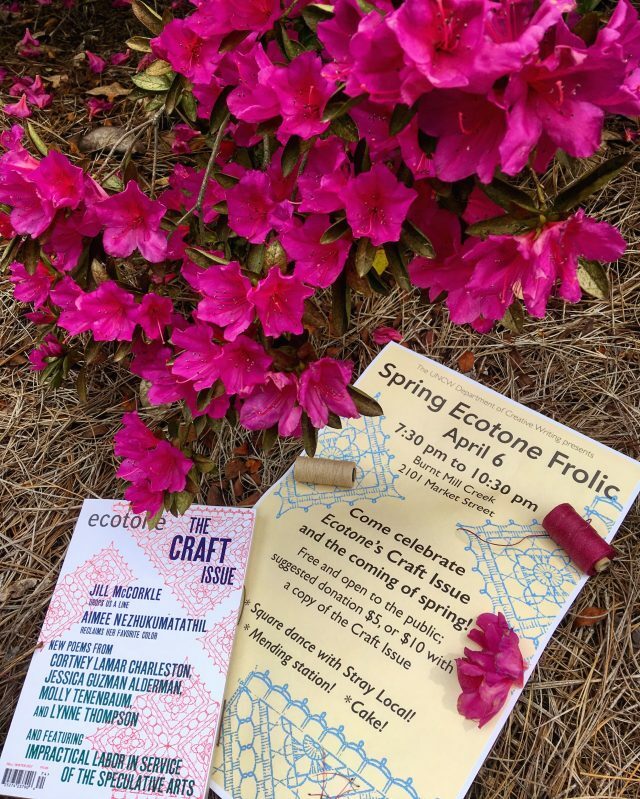 If you’re in southeastern North Carolina, join us in Wilmington this Friday night, April 6, to celebrate the launch of Ecotone 24, the Craft Issue. —A mending station, with quilter and copyeditor Laura Poole, and the Ecotone team. Sew on a missing button! Or sew on a fancy extra button! —Square dance featuring music from Stray Local and caller/Ecotone editor Anna Lena Phillips Bell. Festivities begin at 7:30, dance at 8:30. Free and open to the public. All are welcome! Suggested donation of $5, or $10 with a copy of the Craft Issue. For more details or questions, visit our Facebook Invitation. Hope to see you Friday!